Android and Me host the occasional Android Bounty – the community gathers cash for a specific challenge to the developers. The latest bounty asked for an Android port of Quake that has support for multiplayer over Wi-Fi. Well, the community asked and they delivered. The bounty winners are Quake2Android (Quake 2 port) and kwaak3 (Quake 3 port). This lets Android devices into the Quake-playing club, with the previous members being Apple iPhone, Palm Pre and Nokia N900. 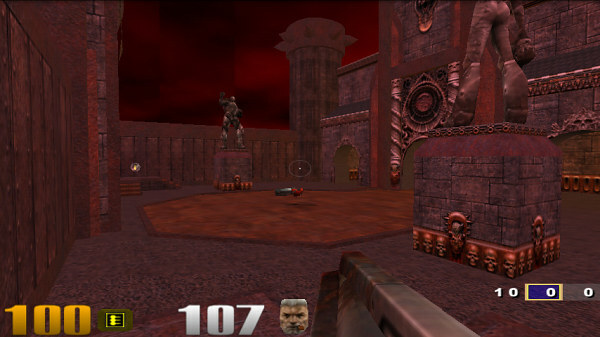 The first app, Quake2Android, is an open source port of the classic time-waster, Quake 2, and has the sweet multiplayer over Wi-Fi support. Aside from the keyboard controls, the developer, Julien, also added touchscreen controls as well as accelerometer controls. 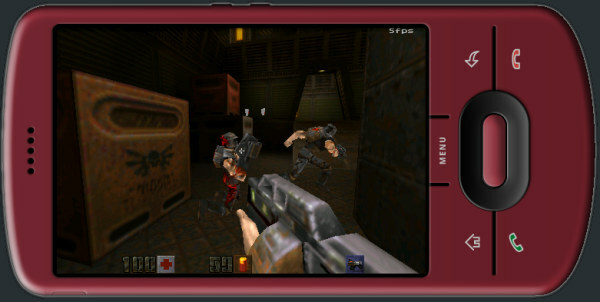 Quake2Android gets about 30-40 fps on a Motorola MILESTONE, but doesn’t work on Nexus One yet. Since the port is open source, someone will find a fix for that soon enough. The Quake 3 port, kwaak3, manages 20-30 fps on the MILESTONE but only on small maps. Bigger maps reportedly didn’t work very well, but kwaak3 is open source too so there’s a good chance someone will be able to optimize it. You can download kwaak3 from here (it’s not available through the Android Market). The game needs Android 1.6 or later to run. Quake2Android is available here. It requires Android 1.5 and runs well on the Motorola MILESTONE, HTC Dream, HTC Magic and T-Mobile Pulse, but not so well on the others (an)droids.